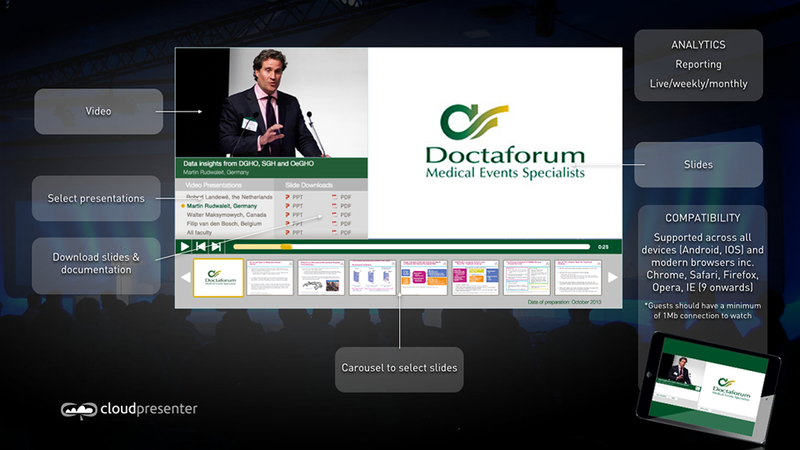 Our Cloud Presenter players are customised to meet your specific company branding and requirements. Each player can be embedded on your own website, or we can build a bespoke microsite for your project. Secure login, URL registration, dealing with firewall issues, and all the other technical details you can leave to us, to ensure you focus on your presentation, while we focus on capturing it and delivering it to your audience. Each Cloud Presenter has built in analytics providing key data enabling you to measure usage.